He has been a household name for weather forecasts and literally, the face of the met department for more than a decade. 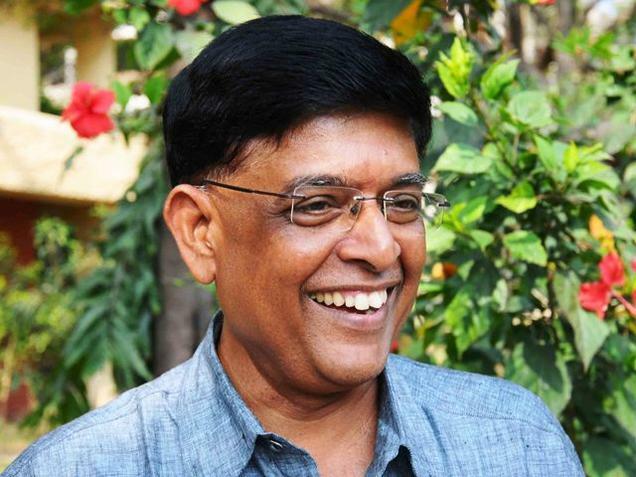 Ramanan, the weather hero of Chennai, is retiring. Having played a protagonist’s role during the December rains, he’s cult icon enough for his room to be constantly bustling with visitors who want to take selfies with him. Amidst his daily weather forecasting work, he obliges every single visitor - relentlessly posing for photos, meeting visitors, answering the phone that’s ringing off the hook. After being at the helm of affairs in the Regional Meteorological Department, S.R.Ramanan, Director, Area Cyclone Warning Centre, will end his 36-year-long career on March 31, the month he turned 60. He has been a household name for weather forecasts and literally, the face of the met department for more than a decade now with his crisp updates on television. “We are his fans and don’t miss his daily TV updates,” says V. Kumar, a catering worker who had come to the office to serve at someone else’s retirement party. He remembers to take a photo with Mr.Ramanan. But, Mr.Ramanan himself is quite nonchalant about all the attention showered on him, and his role in the scheme of things. “I am just doing my job. This popularity is transient and is certainly not the result of a single man’s effort. Nothing could have been possible without my office and family’s support,” says Mr. Ramanan who spent nearly 13 years as director of Area Cyclone Warning Centre. There have been several days when the office in Nungambakkam turned his second home as he stayed back to track cyclones and multi-task between media briefs, forecasts and communicating with government departments. Many a times, he missed being around with his family during crucial moments, notably when the December floods inundated his house. He is glad that he has contributed to saving human lives through timely weather forecasts. What he will miss in a few days is his interaction with people in the Regional Meteorological Centre. He now wants to take time to be with his family and probably catch up with his favourite activities - travelling and reading.